In late 2018 I had a chat with Andy Baker who was looking to stir up more songs from within the local church for the local church worldwide. I felt that this was something whose time was right and I opted to join in with a group of songwriters who were helping to build some momentum for Homegrown Worship. You can read more of Andy’s heart and the story of Homegrown Worship and this link will also allow you to join their mailing list to stay informed about the future developments. You can catch the story of the various writers there too as their songs go public throughout the year. Then, in a flurry of late year activity we submitted demos and started working on polishing, upgrading and re-recording them for radio ready release in 2019. I was rather humbled to discover it would be me who would be picked to spearhead the new batch of songs for 2019 with ‘I’ll wait for You’. I was subsequently completely delighted to find that the song has been so well received, being taken up by many websites and making the Premier Christian Radio A-list playlist. You can catch it below – be sure to listen to it all – surprises await. The intention for these songs is not just that they will provide you with a great listening experience but also that you can be equipped with all you might need to play it for yourself – here then is the lyric/chord chart. If you pop over to Homegrown Worship you’ll be able to access more detail about the song and how I wrote it. Here is a basic topline/chord chart for this song. For anyone who is fearful for the future, or who is feeling lonely, or who is under the weather, the circumstances and the struggles of life – this song is for you. You may face all kinds of issues but you need not face them alone. If you think the website has been rather static for the last while, you’d be right. I’ve been focussing on studies for an M.Th. and I should get the results back soon. But here’s me leading a stalwart band of fabulous musicians, singers and technicians at Malvern Priory for the 2016 Graduation of Regent’s Theological College. I will be suitably robed and doing my fair share of ‘doffing’ next year. 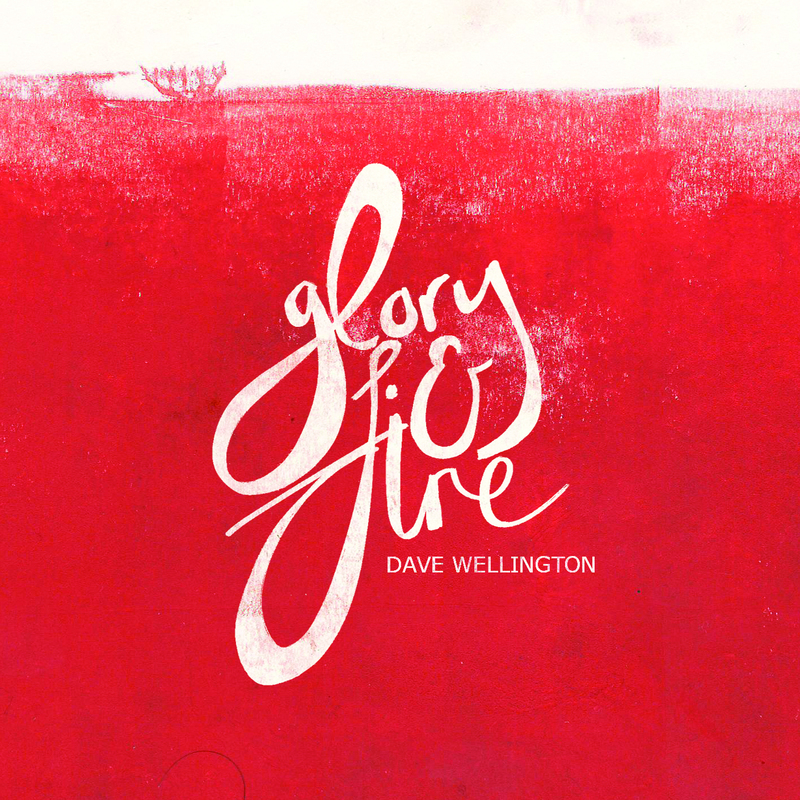 In other news, not only is Glory & Fire available by CD, but it is available through all of the usual on-line sources. You can search for me on any of your favourite digital music providers and you should find me. Yeay!! 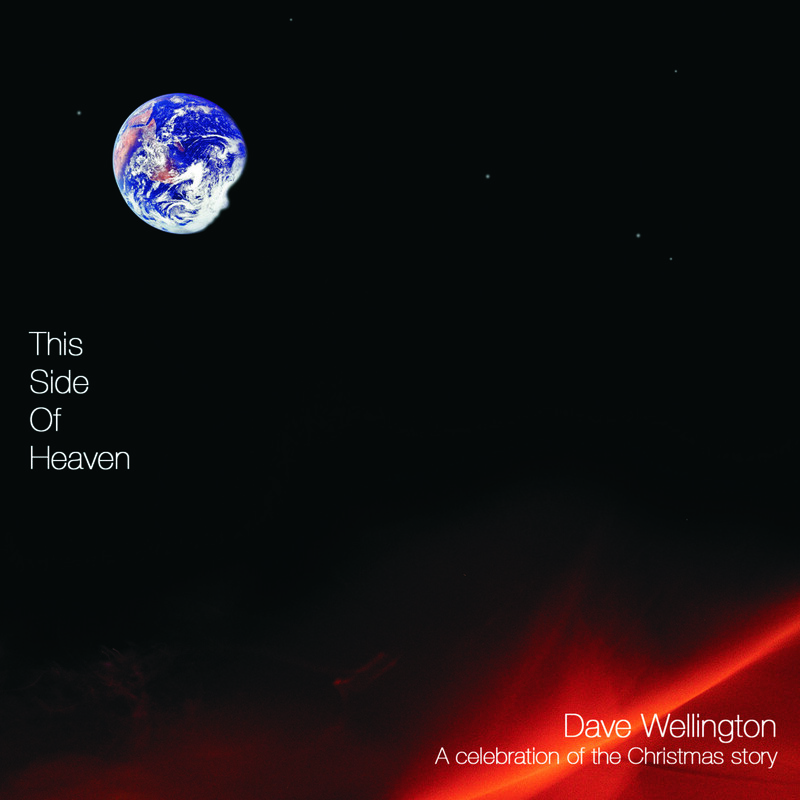 I also took the decision this year to make “This side of Heaven” available on-line as well. You can feel all warm and fuzzy this year listening to the marvellous Welliesongs of Christmas through your on-line providers, be that iTunes, Amazon or . . . That means digital copies available right to you pretty much anywhere in the world. You’re welcome ! Glory & Fire has arrived ! If you aren’t connected to my FB page, you may be missing out on the news that at 11.26am yesterday my latest CD was delivered to my home. It has some familiar song titles on it, but you have just not heard them like this! They are EPIC and you neeeed a copy. Drop me an email at rundeepmusic@sky.com or message me for more info on how to get your copies. It’s not on iTunes yet so you need physical product. I look forward to hearing from you even as you look forward to the best music you’ve heard in ages. One of the main criticisms of contemporary worship music is that it is all performance. As a musician and a singer who is also a worship leader I am well aware that when I stand in front of people to lead them in sung worship I have to be first and foremost a worshipper myself. But I am also acutely aware that if I sing and/or play then I am by definition a performer and there is a distraction in poor quality music and off key singing presented to a congregation: I need to give of my very best. So it is not one or the other: it has to be both. A great performance can help or indeed hinder congregational worship. So the question then must be at what point does worship cross the line and stray into just performance? Or viewed form the other side of that coin, at what point does performance rise to become worship? I would like to suggest that there are two foundations to build on here. The spiritual foundation has to be time spent before the Lord in your own devotion. A life lived out of love for Jesus, a life lived through the love of Jesus, empowered by the Spirit of Jesus and true to his Word. I am always conscious of what Jesus said that it is out of the heart that the mouth speaks. The treasures of God’s word need to be placed securely in your heart so that you can speak and sing from the depths of your spirit the song of agreement with The Holy Spirit. It wouldn’t then be surprising that as you do, unrehearsed, prophetic words would arise as a song out of your spirit because you are attuned to the Lord. The line gets crossed here when you forget why and for whom you are doing this. Your performance should be addressed to the audience of one. You are not looking for applause for what you do but are looking to stir applause for the one and only, how could worship be anything else; It’s all about Him. But that should not mean that you dumb down what you play and sing to fit the lowest common denominator. You know your own capabilities and to offer something which is less than your best is not offering true worship for you. Of course in a team context this has to be balanced so that you do offer that which fits into an harmonious whole. You can’t go off doing Jimmi Hendrix guitar riffs or Mariah Carey vocal lines unless they are going to be supported by like minded musicians AND blend into something which is worshipful. The second foundation has to be musical. You have been called as a worship leader to give a Royal Command performance before the King of kings and the entourage of heaven. A Royal performance – you? Yes! That being the case, you will be ready to give your very, very best. This musical readiness can only spring from one place: rehearsal, both personally and as a team. I put it this way, I need to be so in command of my own musical performance that I don’t need to think about it any more and as a result I can focus on the important part which is to offer worship to the King of kings. My guitar part? Nailed it! My keyboard sounds and styles? Sorted and ready. I got this! My vocal lines AND my lyrics? In my heart, my head and ready to let loose! And likewise with the team – we know our parts and how they interact, the vocalists have the tune sorted and harmonies where possible. Rehearsal gives a chance to work out arrangements and to be able to play the song(s) reliably reproducibly. The line gets crossed here when you spend insufficient time in rehearsal. This leads to the state where you are effectively rehearsing the song as you play it in front of God’s people. Your focus for that service is then on the music, on following the chart, on reading the words and so on, because you have not rehearsed it enough that you can remember the cadences or the lyrics. You end up hiding behind the music stand, eyes locked on the music. And since it’s only church you excuse yourself and accept less than your best. You crossed the line. Teach yourself to be a better time manager so that at the very least you have put time and effort in to learning and rehearsing the song(s) in your own time before trying to present it in God’s time. On top of these foundations sits the worship leader. Their role has to be to blend the values of excellence of music with passionate worship, focussed on the King and to lead the congregation into the place where they can express their priestly worship before the God of Heaven. The bee that has always stuck in my bonnet is that the musicians and singers want to hide behind me as the worship leader. What I have learned however, is that sung worship is far more effective when the whole team recognises their responsibility as worship leader, that everyone is intent on bringing excellence to the most high God. Team leadership inspires a congregation to rise in their office of priest to minister before the Lord in worship, after all we believe in the priesthood of all believers. It doesn’t all have to fall back on the sole worship leader alone. 1. Is it obvious that I am a worshipper? If not, what does my body language say about what I am doing? 2. Does what I do help draw others into worship? 3. Does the music/singing sound comfortable to listen to or is it full of obvious musical errors? Where are those errors and what should I do about them? Now, based on what you see and hear you should be able to work out what needs to be focussed on in your devotions, in your rehearsals and in your leadership development. Let me know how that goes.